Welcome to our Museum Quality Oil Painting Reproductions page! Most of our customers are delighted with our high quality hand-painted reproductions, representing great value for the level of detail involved. Select few are looking for the ultimate level of refinement, capturing all the subtle intricacies in a piece, which only a master museum quality painting can provide. How is it possible for us to provide such a unique service? 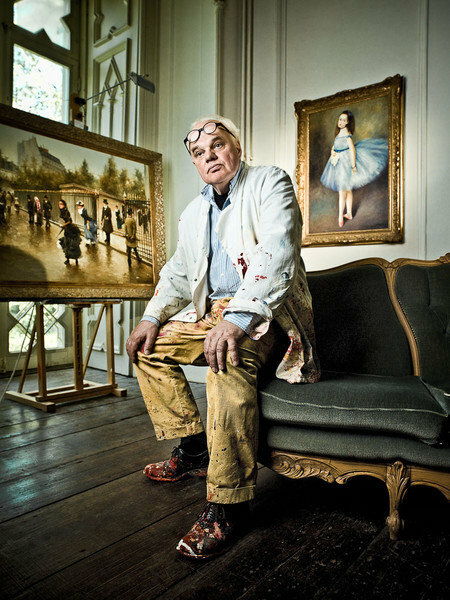 Let us proudly introduce to you world famous (ex) forger Geert Jan Jansen, who is our resident master painter of Van Goghs. Jansen spent decades tirelessly reproducing every miniscule detail of famous art works, to the point where his forgeries sold at auction as original Picassos, Klimts, Miros, and of course, Van Goghs. Geert Jan Jansen eventually was discovered in 1994, and subsequently repaid his debt to society in 2000. However, it is most likely that some of his forgeries still reside in museums throughout the world, considered as authentic Picassos or Van Goghs. Nobody is more qualified to provide such a unique service for those who want the closest thing to an original Van Gogh in their home. We have a selection of Geert's Museum Quality Van Goghs in stock that can be shipped immediately.